I just did a search on the Tut, and went to the images and forty or fifty pictures of the gold faced boy King turned up. He certainly does not look Negroid, or did they photoshop all of them ? He has a narrow nose and his mouth looks like the average Caucasian. Why there was no single African American actor ever called to interpret any Pharaoh role in any of those super productions? Probably because a, it’s a movie and b, he wasn’t a black African American. Just check the versions that Hollywood has manufactured along decades about the past of Egypt, compare them with this finding and that is all the answer you need. it is not that they were just few, it was that none at all was never considered for those characters by the so called factory of dreams, well perhaps it is better to call it machine of brains wash, of a bunch of lies and probably some nightmares. Just think on that simple very meaningful detail. So you just disproved your title, good job. c. There little reason to think that an African American actor would have any particular insights into the role. The OP seems to be basing his “observation” on the image of the death mask. 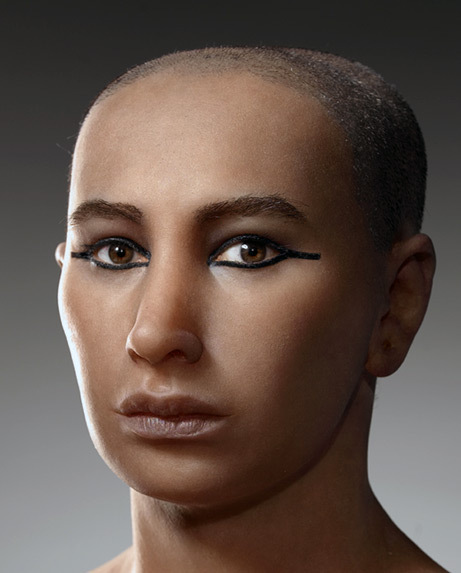 Shame he hasn’t read further and found the death mask wasn’t a likeness to King Tut (found through testing and facial reconstruction). They white washed him, or should I say, brown washed him. I’m sure that Denzel Washington’s twin! Just look at the similarities in skin colour.